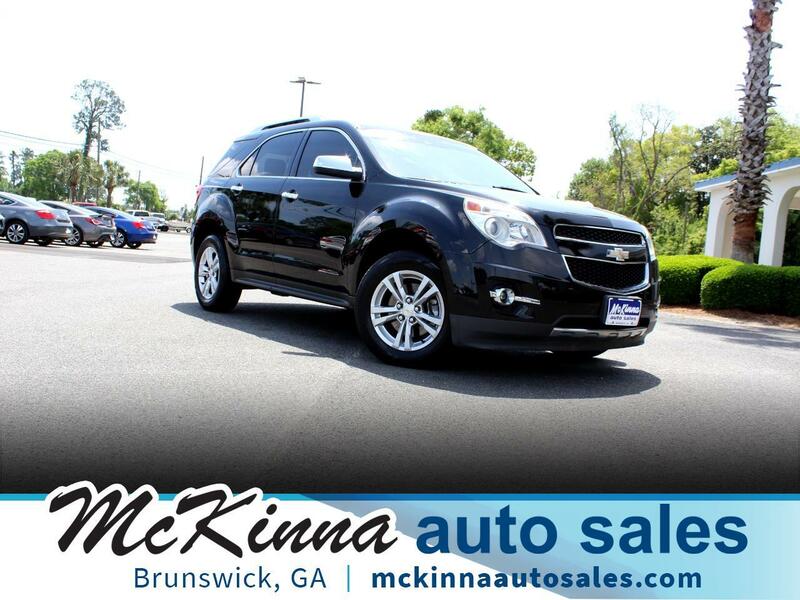 This 2013 Chevy Equinox LTZ AWD is a fresh trade in that's been loved! It's equipped with Power Heated Leather Seating, Bluetooth, Backup Cam, Accident Avoidance, and Premium Wheels. Buy from us with full confidence. Get a free CARFAX report on this or any other vehicle that we have for sale. If you're interested in our extended warranty options please don't hesitate to call or stop in to speak with a sales associate. Cash Buyers Welcome. Come In and Make A Deal! We are located only minutes from Saint Simons Island! We at McKinna Auto Sales, will help you drive away today with our Easy Financing, we have Credit Unions and National Financing options available! Working with Navy Federal or USAA? No problem, give us a call, email, or text and we'll walk you through the process. We'll finance you!